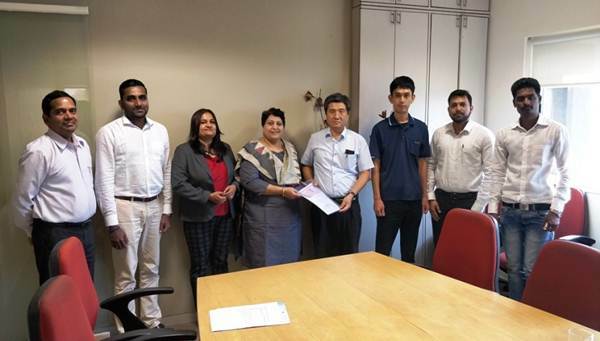 South Korean hydraulic engineering component manufacturer, Aju Tech Private Limited is all set to build their manufacturing facility at Khed City, Pune. Aju Tech becomes the third South Korean company to set up their unit in Khed city, the other two being Hyosung – a major South Korean conglomerate and Autogen – a leading automotive component manufacturer. Aju Tech also marks itself as the 17th international customer adding grace to Khed City’s already proliferating multinational clientele list. Additionally, Aju Tech is one of the tier 2 supplier to Hyundai Construction Equipment, a South Korean giant located in Chakan Industrial Area. Spread across a sprawling 4200 acres, Khed City, one of the leading industrial zones in India, is soon becoming the hot favorite of many multinationals across the globe, who seems to have found the perfect suitable conditions to match their requirements. The strategic location and excellent connectivity along with the illustrious and trusted name of Kalyani group, has catapulted the popularity of Khed City in the business circles. Apart from industries, Khed City has demarcated zones for social infrastructure including services, education, hospitality & leisure ensuring a better life to the people working and living here. The local populace, the adjoining industrial zone in Maharashtra (Chakan, Rajgurunagar etc.) and Pune city provide abundant skilled workforce. Also, the pleasant climate of Pune and its vibrant cosmopolitan culture seems to have suited well with the South Koreans who have made Pune their home away from home!